Information overload can make research overwhelming. Marketing and turf battles between doctors makes it difficult to distinguish professionally credible information from financially motivated scare tactics. There are still a good number of actual caring and ethical doctors. Advancement in medical procedures and technologies combined with higher standards for results is an opportunity for patients to find the right super specialist for them. For example, As a Cosmetic Eyelid Surgery specialist in practice for over 20 years, I can assure my patients about the optimal strategy for their eyelid issues in a way that would be different from a general plastic surgeon who mostly performs body procedures. Research can help in finding specialized doctors who are experts in your specific cosmetic issue. It’s often perceived that a busy practice is a sign that the doctor is good. Although I’m busy, I never rush through a consultation. The consultation is a critically important time for you to learn and see if the doctor has a personality you feel you can trust with your health and appearance. A consultation is also a discussion. In my practice, the patient isn’t only selecting me but I’m selecting the patient. I avoid performing procedures on people who I’m not comfortable with. You should be comfortable with your doctor’s technical abilities and their personality. If you don’t ask, you may be left with questions. Ask to look at your surgeon’s before and after pictures. Ask for a step-by-step explanation of the procedure you’re looking into, including what type of anesthesia. Ask about your surgeon’s specialty area and how often they have worked on similar cases such as yours. I find that a patient who asks questions also learns about options they didn’t think about and have a better outcome. Ask your doctor whatever you can to make sure you’re getting the treatment and results you want. An issue, which appears to be a cosmetic problem may also be associated with a medical condition. 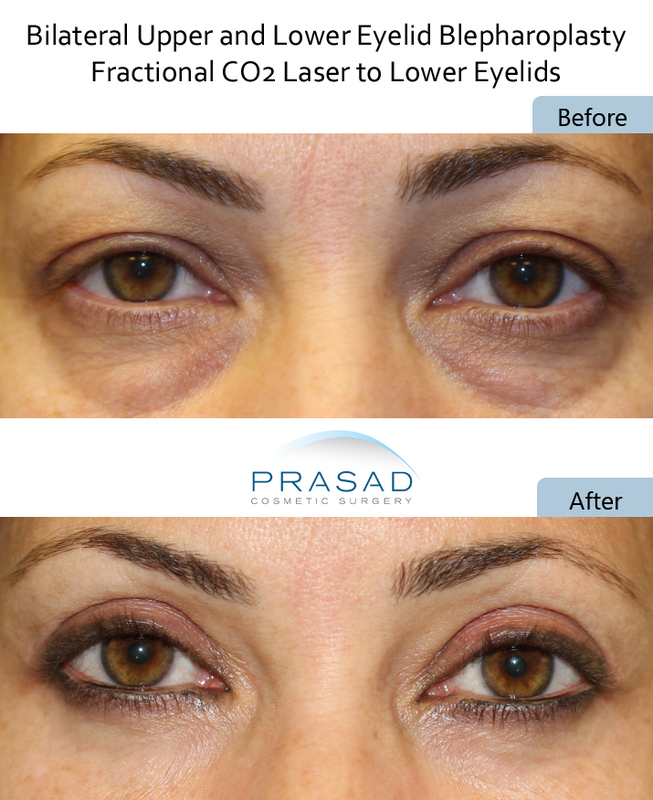 For example, a condition such as eyelid ptosis occurs when the eyelid level droops down. Oftentimes, there is also hooded skin. 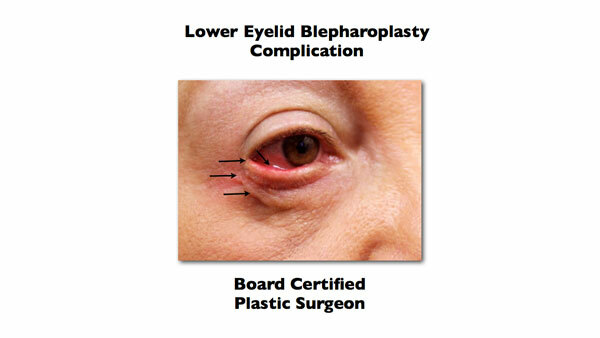 A plastic surgeon may remove the hooded skin without treating the eyelid ptosis. The plastic surgeon may not have been made aware that the patient sees an ophthalmologist who has been treating the patient with steroid eye drops, which could have contributed to the eyelid ptosis. The take home message is to disclose every detail about your medical history so your cosmetic procedure can be performed safely and successfully. 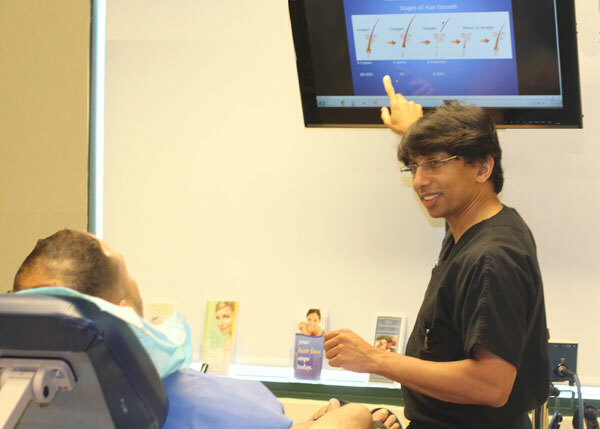 One procedure can be part of a solution for a more comprehensive treatment strategy. There may be a combination of 2 or 3 different treatments which can lead to a better outcome. For example, if a patient has concerns about under eye bags, they may not appreciate the bone structure which is lacking and contributes to the prominence of the eye bags. I find that with education and reviewing the patient’s photos from different angles that my patients appreciate the knowledge gained and the opportunity to have a procedure such as fillers to enhance the cheekbones at the same time as surgery for under eye bags. I often combine laser procedures and PRP (platelet rich plasma) treatment to help the skin look more even toned and vibrant at the same time I perform injectable treatment or surgery. Don’t fall for shortcut miracle procedures. Shortcuts in medicine do not end well. 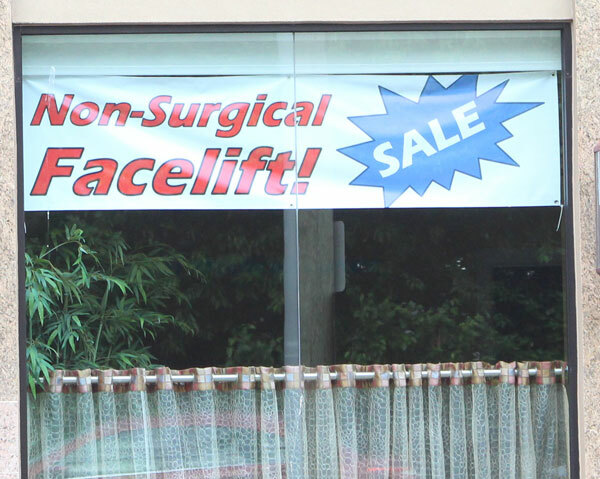 A company claiming to perform a “revolutionary facelift” procedure with multiple offices and a pop singer from the 70s advertising for them could not hide the countless botched surgeries and fake online reviews which they forced employees to write. As a multispecialty trained Board-certified cosmetic surgeon, I have no limits on the level of procedures I can perform. If I could do a procedure less invasively to get the same results as a more involved surgery, I’d do it. Yet, non-surgeons and non-physicians market irresponsibly procedures with names and language implying if not outright claiming that they can get the same results with lasers and threads that you would get from a surgery like a facelift. There often are better ways to do things, but there are no shortcuts. Don’t assume that the doctor knows what you want and expect out of cosmetic surgery. When you consult with a very experienced surgeon, you might think, “Oh, he or she has done a lot of these procedures before, they’ll know what to do right away.” However, your situation is still unique to you, because your body, your face, your medical history is unlike anyone else’s, so communication is key. It is important that you are able to articulate what your aesthetic goals are, so that the surgeon may be aligned with those goals and develop a proper understanding of who you are, what is important to you, and what is motivating you to take this step. Don’t assume that cosmetic or plastic surgeons are experts in every field of cosmetic surgery. 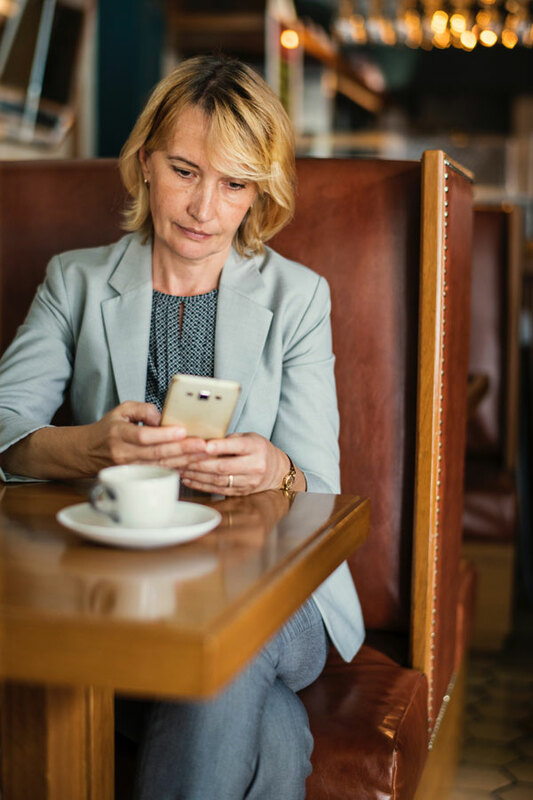 Much in the same way that cosmetic surgeons and plastic surgeons practice separate and specialized disciplines, There are some surgeons who may be more focused on the eyes or face, while others may be more focused on body procedures. It is important that you seek out a cosmetic surgeon who specializes in the particular area that you want to have addressed. Going to a super specialist should significantly reduce the chances of complications and other undesirable outcomes. I have a core philosophy when it comes to cosmetic procedures: no one should be able to tell you’ve had a procedure. This means I enhance my patient’s appearance while retaining their character. You look like you; refreshed or well rested. I help my patients return to work typically in 1 week. I’ve made significant advances in the art of the procedures I perform, such as techniques to minimize bruising or swelling. I’ve made the sedation process easy to recover from and I get people back to work in typically one week. There is still a healing process which takes time to complete. Having realistic expectations as to the results and the speed of full healing needs to be well understood before having any procedure. 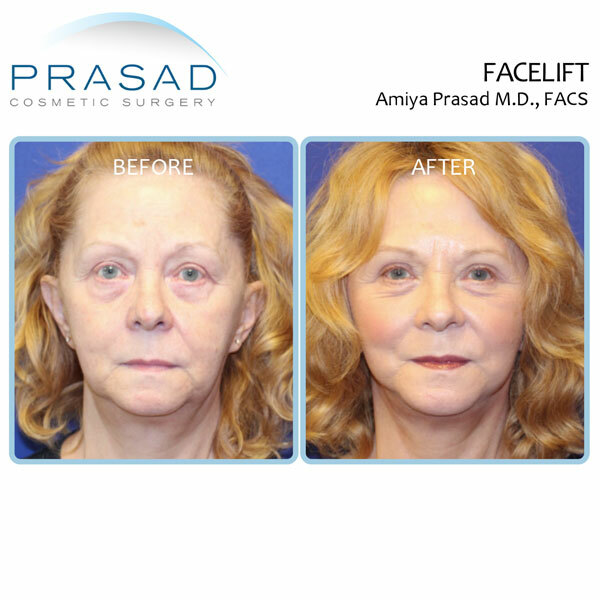 Expect cosmetic procedures to make you look about 10 years younger, not several decades younger.